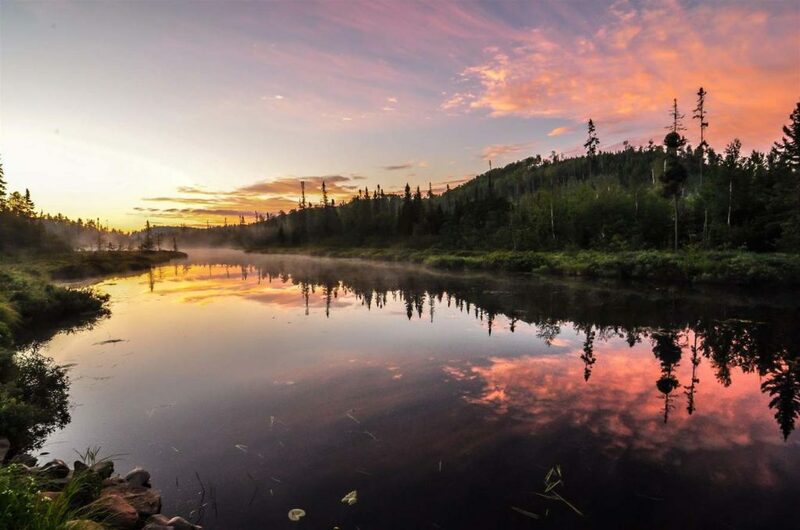 The Boundary Waters Fishing is some of the best in all of Minnesota. Clearwater BWCA Outfitters will help you find excellent angling opportunities as well as provide the gear you need. 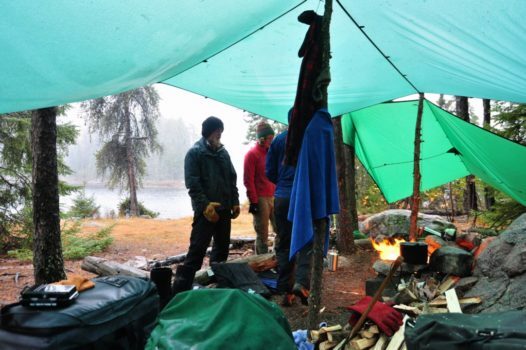 Visit our outfitting and guided adventure pages for more information. Also, if camping while you fish isn’t your thing, visit our lodging site to browse accommodations. These great fighters can be found in most of the lakes in the Boundary Waters, But most notably in Caribou Lake, Deer Lake and Moon Lake. 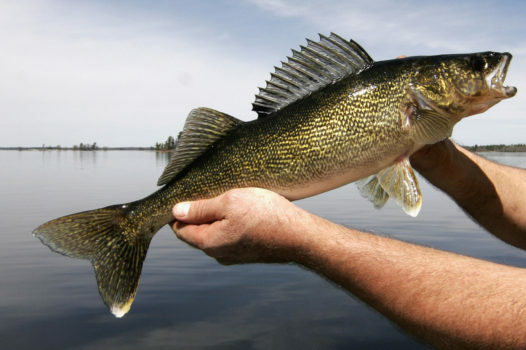 Walleye can be found near the shore in the Spring, and in deeper water near structure in the summer. 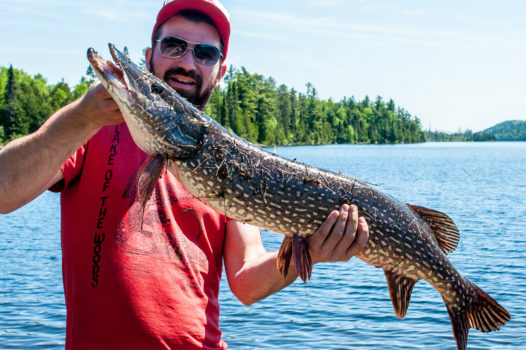 The Boundary Waters have produced many trophy-sized Northern Pike! These toothy predatory fish can be found in Caribou Lake, Deer Lake and Moon Lake. Pike are often caught near underwater structure, using minnow imitations. Clearwater Lake and Mountain Lake are the home of many eating-size and larger Lake Trout. Spring is the best time to catch Lake Trout right near the surface. As the water warms, Lake Trout move to deeper water. These spunky panfish can be found in most boundary water lakes. 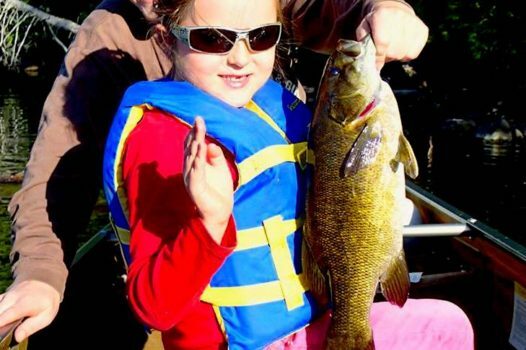 Many large Smallmouth have been caught in Caribou Lake. They are often near the shore, and are very active as the water warms in June. This crystal clear lake holds Lake Trout and Smallmouth Bass. Early in the season, immediately after the ice goes out, is the best time to try your luck. Typically Mid-May to Mid-June is the best time to try trolling spoons and deep diving crank baits for Trout. As the lake warms, the Lake Trout head for deeper cooler waters, so finding them can be challenging without sonar and a down rigger. By Mid-June the Smallmouth Bass in the lake will be very active and can be easily found throughout the day along shorelines with soft plastics, and in the evening with top water lures. 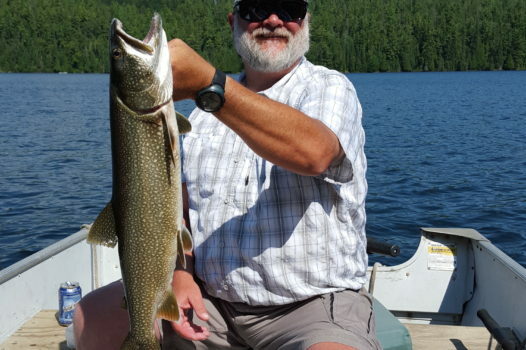 A 210 rod portage from Clearwater Lake brings you to this excellent lake. 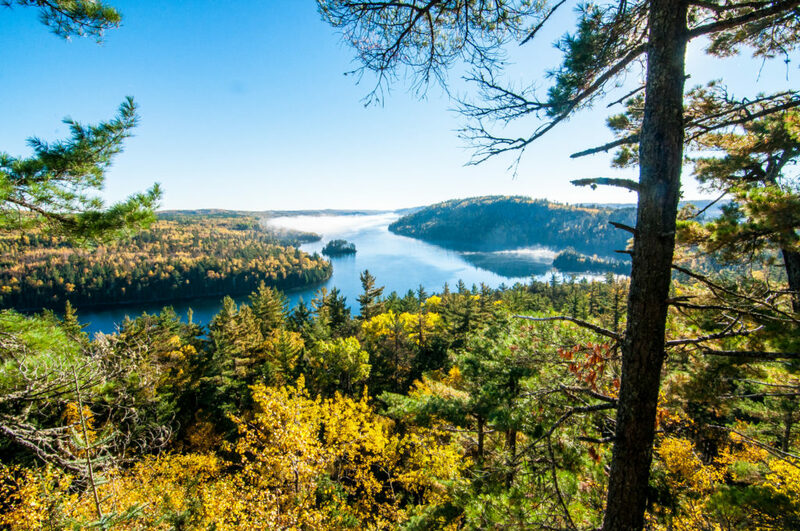 Offering Walleye, Northern Pike, and Smallmouth Bass, Caribou Lake should not be missed. As soon as the ice goes out, head for the shallow warm waters at the far east end for Walleyes and Northerns; simple slow presentations work best this time of year, and if you can pack in minnows you will catch fish. As the waters heat up into June the Walleye and Pike head for deeper water and can be found on structure throughout the lake. The Boundary Waters Fishing Smallmouth Bass on Caribou is some of the best around; with consistent 20″+ fish being caught every summer. This is the lake to head to if you want to catch dinner. For a few weeks after the ice goes out, eater-size Lake Trout will pretty much jump in the boat. 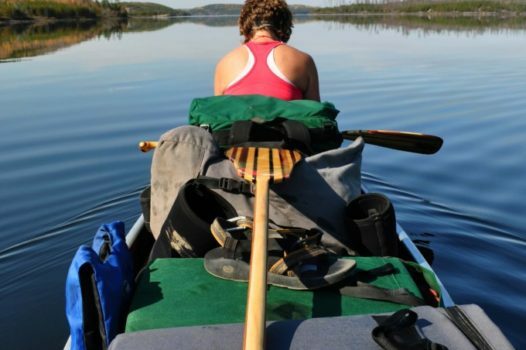 An 80 rod portage will deposit you and your canoe in waters that can be fished from shore. Jumping in the canoe and trolling close to shore with small spoons or shallow diving crank baits will definitely have you limiting out. Like all Lake Trout lakes, as the waters warm, the trout head into the depths and can be a challenge to find, especially from a canoe. Mountain Lake also has numbers of mid-sized Smallmouth that can be easily found throughout the summer along most of the lake’s shoreline. These two small lakes south of Clearwater are great options for early season Walleye and Northerns. 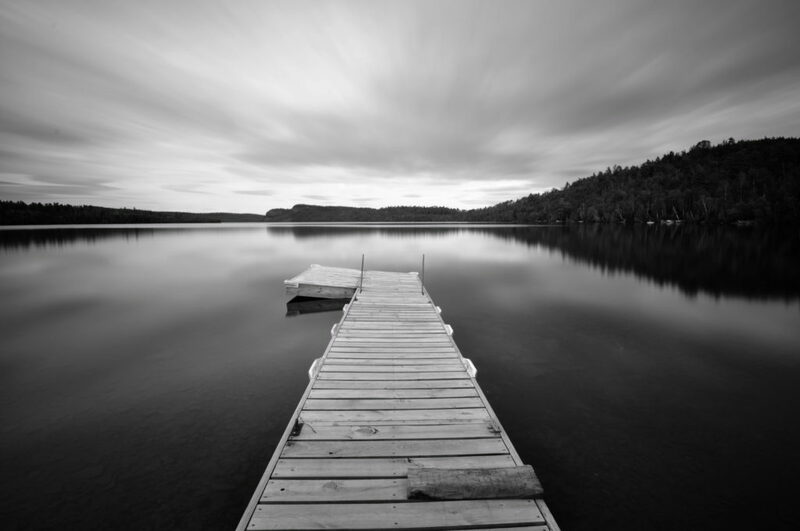 The same 210 rod portage that leads to Caribou Lake can be used to access Deer Lake. Slowly drifting the narrows towards the portage to Moon with “Lindy” rigs and leeches will most likely prove successful. There are a number of shallow reefs on Moon Lake which can be great places to try later in the season once the water warms up. Pick up a few hot lures and fishing tips at the Clearwater BWCA Outfitters shop. We stock the lures we use ourselves, as well as leeches and nightcrawlers. 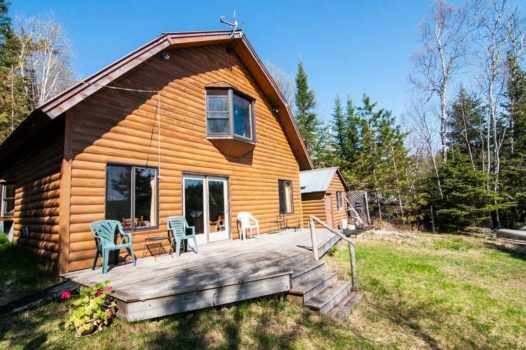 Our expertise is sure to make your Boundary Waters Fishing experience one that’ll have you coming back year after year! Save time by applying for your fishing license with the Minnesota Department of Natural Resources. For your convenience, we can also sell you a fishing license at our store. Your social security number will be required for the application.